There are snow covered mountains in the north of Teheran. Streets are crowded with cars which are often latest models. Shops are lighted very brightly at night. 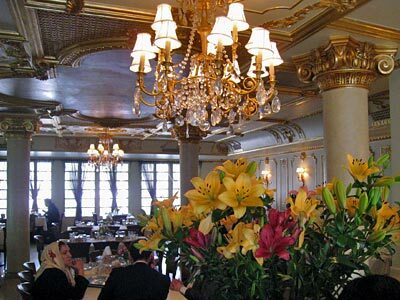 The restaurant I visited in Teheran was richly decorated with gold colored ornaments. 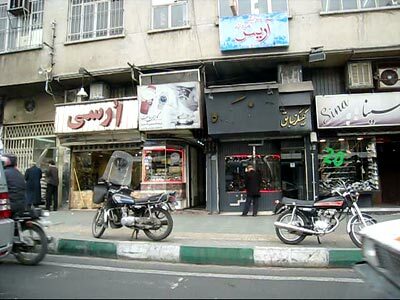 I recently visited Teheran. 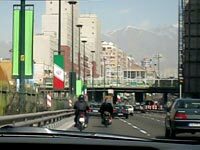 Though my stay lasted only two nights and three days and I could only observe a small part of the city through the car window, I would like to write a few lines about my impressions of Iran. Most Japanese people feel that Iran is a remote country. Iran in the Shah's time was known to us through reports of the gorgeous and imperialistic life style of the Shah and his family. 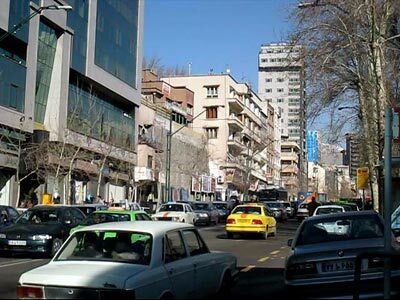 Iran appeared to be a rich and promising country. I still remember advertisements about Iran in internationally well known magazines such as Newsweek and Time during the final years of the Shah's reign. They were in the form of question and answer. All questions asked which country was the No.1 in the world in various contexts and the answers were always "Iran". 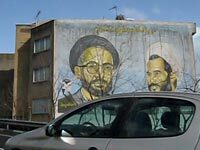 After the revolution in 1979, Iran was governed by Khomeini and other Ayatollahs. The confrontation between Iran and the USA was triggered by the hostage affair in the American embassy in Teheran and continues till now. The religious control over daily lives was strengthened and Iran became more and more alien to us. Then, the Iran-Iraq War started and the Iraqi bombardment of the IJPC (Iran-Japan Petroleum Company) refinery under construction led to the end of the joint Japan-Iran project in 1989. In the 1980s the number of Iranian visitors to Japan increased rapidly because of the then existing agreement on mutual visa exemption. 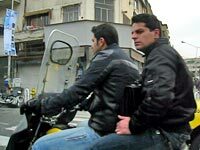 Many Iranians stayed illegally after the expiry of exemption period and their involvement in numerous criminal cases increased. As a result the agreement was suspended in 1992. Under such circumstances Iran did not make a good impression on Japanese people, though the Japanese Government tried to maintain close relations with Iran. In contrast to the impression we have cocnerning the name of Iran, its old name Persia belongs to the world of fairly tales. Persia sounds romantic and exotic and is associated with beautiful art objects. The earliest evidence of our relations to Persia has been preserved in Shosoin. A beautiful cut glass bowl is believed to have been produced in Sasanid Persia (225-651) in the 5th or 6th century and brought into Japan through the Silk Road and Tang Dynasty (618-907). A similar bowl was discovered by an old burial mound which was attributed to Emperor Ankan (466-536). While the glass buried in the soil is worn down, the glass in Shosoin still keeps its original brilliance and shows us the sophistication of the Iranian culture 1,500 years ago. Shosoin is a storehouse of Todaiji temple where the world largest bonze Buddha statue is enshrined. It was built in 756. The airport of Teheran was a new building located far away from the city. Since the Government of Japan started last year to ask finger prints of the foreigners entering Japan, Japanese nationals were also required to have their finger prints taken on their entry into Iran. 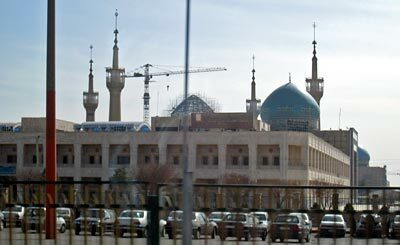 Reciprocity is imposed by the proud Iranian government on the poor Japanese visitors. However, in spite of bureaucratic harshness the Iranians keep smiling when receiving foreign guests. I could feel their hospitality throughout my stay in Teheran and was positively impressed by the omnipresent smiles in a country which also wants to keep its Islamic tradition and does not hesitate get involved in conflicts with Western countries. "Rose flower jam" is a specialty of Iran. Somewhat sticky and very sweet. Teheran looked like Chinese towns around 1990 when I lived in Beijing. 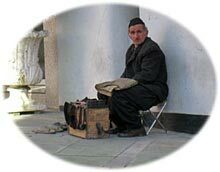 There are many small privately owned shops everywhere in the city. Lots of products are displayed within and in front of the shops. Their abundance is impressive. At night the shops are illuminated with glaring naked lamps. I thought their brightness reflected their confidence in their economic strength. They have enough electricity, as they have enough oil. The active participation of women in the city life and business activities was what I did not expect beforehand. Though they wear scarves on their heads, many women do not wear black clothes covering the whole body, but ordinary Western style clothes and in many cases scarves were colorful and occasionally had fashionable designs. Most women also show a part of their hair. I always saw women at the reception of hotels or restaurants. They also drive cars - I heard that there are even female taxi and bus drivers and the majority of students are women. There might have been a certain relaxation of religious control over daily life. 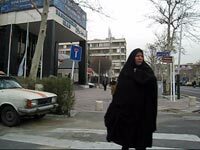 But, the status of women in Iran was certainly much higher than I thought and incomparably higher than that of traditional Afghan society. Of course, there are restrictions in many areas of civil life. 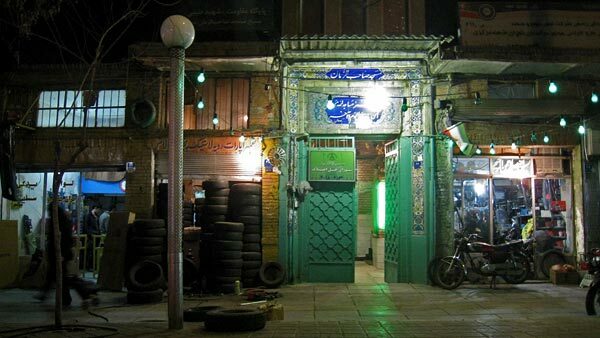 But, Iran is certainly a country with a rich culture and tradition and I could feel it though Teheran is a relatively new city. I want to visit Iran again as tourist and see Isfahan, Persepolis and in particular the Behistun Inscription whose decoding history inspired me to study archeology in my childhood.